How easy or difficult is it to find out information about immigration detention in Bulgaria? One of members, The Centre for Legal Aid – Voice, is tackling this very issue through a new website, DETAINED. We asked Radostina Pavlova to tell us about this innovative website. Can you tell us about why you started this website? The DETAINED website was created by the team of the Center for Legal Aid – Voice in Bulgaria, as part of the project “Who Gets Detained? Increasing the transparency and accountability of Bulgaria’s detention practices of asylum seekers and migrants.” The one-year pilot project is funded by the European Programme for Integration and Migration (EPIM) of the Network of European Foundations (NEF) and ends in August 2016. We created the website, because we felt that the detention of migrants in Bulgaria is something that is not discussed publicly. 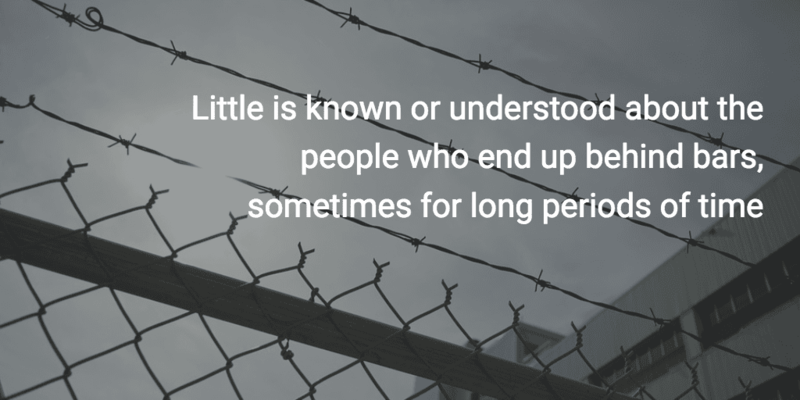 Little is known or understood about the laws and practices, and about the people who end up behind bars, sometimes for long periods of time, not for having committed a crime, but on the pretext of organizing their deportation. We also wanted to open the door to a discussion of the broader issue of “irregular” migrants and break up the current dichotomy of refugees vs. “illegal migrants”/”economic migrants”, which seems to allow the treatment of the second category as less than fully-righted human beings, thus subject to detention, deportation, no access to any services or supports, etc. On DETAINED, we publish legal and statistical information, analyses, reports, but also, very importantly, personal stories of detainees and other migrants, who are affected by restrictive immigration laws and policies. Our aim is for the site to continue beyond the end of the project and to become a meeting place and a key source of information for activists, for migrants themselves, journalists, policy makers and regular citizens. We hope that we will have an increasing pool of contributors of commentaries and analyses. We will continue to collect and publish statistics on detention, deportations, arrests of “irregular” migrants in Bulgaria, and with time we will build a solid database that can be used to support research and advocacy. We will also continue to publish migrant stories and give a voice to those who, whether because they are in detention or unable to gain legal status, rarely have the opportunity to speak for themselves. Have you had any responses to this website? How are people finding it? Since the website is still very new and in development, we have not yet advertised it anywhere but on our own social media pages. Yet, since it went up two to three months ago, we have had a very positive response, people are finding it through blog re-posts, twitter, word of mouth. A number of activists, journalists and students have contacted us in relation to something published on DETAINED. Moreover, we accidentally found out that some international human rights organizations have been using it as a source of information on migrant detention in Bulgaria, and it was referred to in a couple of reports. 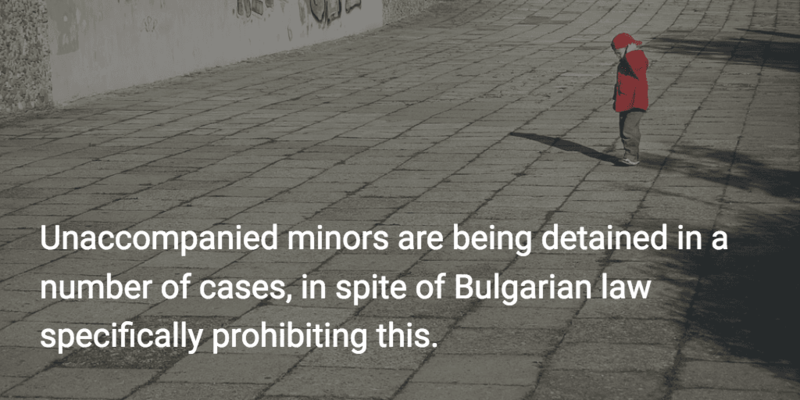 In your view, what are the key concerns in Bulgaria’s detention practice? Detention of migrants continues to be a mass practice in Bulgaria, with the number of detention orders typically matching the number of persons entering irregularly (and practically there is no “regular” way to enter Bulgaria). It appears that, overall, migrants are not being detained according to the only legal ground that we have in Bulgarian law, to organize their removal from the country, but that immigration detention is practiced instead of pre-removal detention. 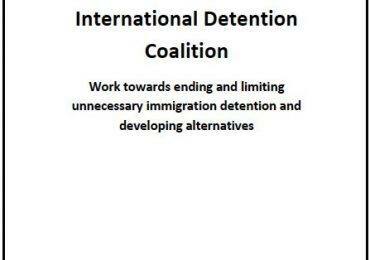 We determined through interviewing key informants – officials responsible for issuing detention orders – that they find it necessary to detain anybody who enters the country until they figure out what to do with them: let them go to an open camp for asylum seekers or leave in detention longer on the grounds of a removal order; or deal with any security concerns. However, the length of detention has decreased since the adoption of the EU directives requiring asylum seekers to be registered within 6 days. Yet, some continue to be detained for longer periods of time after filing an asylum claim, without a clear reason. One specific issue we have identified recently through our fieldwork in the closed centres is that unaccompanied minors are being detained in a number of cases, in spite of Bulgarian law specifically prohibiting this. They are registered as accompanied, with a seemingly random person who has traveled with them or was detained at the same time, assigned as a responsible adult. 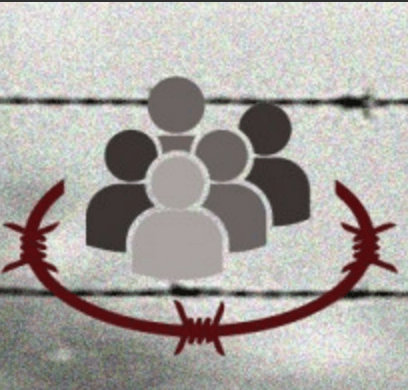 Our project partners, Bulgarian Lawyers for Human Rights, started litigation in some of the cases we discovered, and the most recent monitoring report of the Ombudsman of Bulgaria also reports on the issue of detaining unaccompanied minors in the closed centres run by the Migration Directorate of the Ministry of Interior. We also discovered a recent trend, in a string of court cases from late 2015 and continuing into 2016, that a number of long-term residents in Bulgaria – whether refugees from long ago or living here as family members of Bulgarians or running a business – were issued expulsion orders on national security grounds and detained. The grounds for detention were that since they were allegedly having connections with people involved in the smuggling of migrants, there was a risk of absconding. What’s worrying with this is that administrative law is used in these cases to detain and expulse people, rather than criminal law, which is the appropriate tool, if, indeed, these persons were involved in an illicit activity and/or threatened national security. The threshold of proof is much higher and the procedural guarantees for the rights of the accused are much more robust in criminal law. Using administrative law makes the decision-making and the process of detention and the possible expulsion much less transparent and accountable, especially that the factual justification for finding that somebody represents a threat to national security, is classified information. 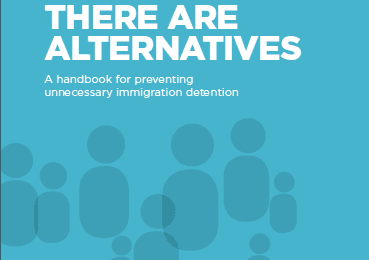 Do you get input from people who were / are in immigration detention into this website? No, entirely for practical reasons: people in detention cannot have access to the Internet, we also cannot bring in mobile devices when we go into the closed centres. Then, it is presently very difficult to engage with asylum seekers and other migrants who have been recently released from detention, as, since 2015, they tend to transition through Bulgaria rather quickly, and are not easily interested in being involved. However, we do use the information we are gaining from talking to them when we conduct interviews for the “Who Gets Detained” project in the closed centres and when we deliver legal aid consultations there, to identify issues for further research and possibly also for stories to publish on DETAINED. And we have planned to organize a meeting of journalists and migrants, so that they can get first-hand impressions and hopefully some myths will be dispelled and some interesting and truthful stories will emerge, which we will re-publish on DETAINED. We understand that the website is still in the process of being developed. Tell us about what information will be added to it in the future. Yes, it is still very new and needs work to further develop and add to the content. The next media story, planned for early May, which we will translate and re-publish on DETAINED, will be a more in-depth story on the detention of unaccompanied minors. We also have some infographics being prepared for the Statistics section, on the number of people intercepted at the borders at entry or exit, or in the interior of the country in police raids, on deportations, also on the rates of granting asylum status or not by country of origin of the applicant, since this has a direct bearing of falling into “illegality” and being subject to detention and deportation. The second part of the review of the jurisprudence will be up in late May or early June, and it will shed light on the mass detention of Algerian nationals in 2013-2014, as a result of an apparent crackdown on that group after a stabbing incident took place in the summer of that year. Then, we also need to develop the Bulgarian version of the site, since it is important that DETAINED also reaches a broader share of the local public and stakeholders.